Puerto Rico Jet Charter, the #1 air charter broker for private charter flights to/from the island of Puerto Rico, has expanded its services to offer a additional private aviation services for luxury and executive travelers. Whether you’re looking to charter a private flight, purchase your own aircraft, or want to add the convenience and flexibility of private aviation to your corporate travel department, our services put the flexibility and convenience of private aviation within reach. Check out some of the most popular private jet charter services we offer. Our Puerto Rico aviation team can assist clients interested in purchasing their own private aircraft for personal use, and we can also co-ordinate with corporate teams to acquire a business jet for their executives. Whether you’re interested in buying a new or pre-owned aircraft, or have an aircraft you’re interested in selling, our brokers can help make the transaction go as smoothly as possible. Our team also provides aircraft management and marketing services to offset private jet ownership and operating costs. Factors such as the best airport to base your jet, which airports have the best prices on fuel, routing your aircraft to maximize its market, and accounting for trends in the aviation market – having your private jet or turbo-prop marketed and managed by Puerto Rico Jet Charter is an essential component to private aircraft ownership in South Florida and the Caribbean. Looking to arrange an executive charter flight to Puerto Rico for your team? You’ve come to the right place! Our team is Wyvern Certified, meaning we hold safety standards and due diligence processes that meet and/or exceed industry requirements, some of the same standards applied to Fortune 500 companies and their corporate fleets. Every aircraft we use for flights to Puerto Rico undergo a rigorous review detailing aircraft maintenance, operator history and pilot experience, all to connect you to the best aircraft available for your trip. We’re not limited by fleet size, either — we’ve built relationships across the county and around the world to offer our clients the most competitive jet charter rates possible, and we provide competitive and fair quotes for every trip we work on. Using only aircraft operated by FAR Part 135 (or foreign equivalent) air carriers, we take the safety, comfort and privacy of our clients very seriously. You might not book your trip with us the first time, but when you do, you’ll know you have a trusted partner you can work with for every flight to Puerto Rico you need in the future. If you have a private or corporate aircraft with mechanical issues, or you need to arrange simultaneous trips for your business executives, we can arrange a supplemental lift to San Juan in as little as 4 to 6 hours. Puerto Rico Jet Charter also offers unlimited quotes with zero obligations – fractional owners and jet card members can compare us to their current plan before reserving hours for their next flight! Do you conduct business or have a second home in Puerto Rico, and find yourself flying frequently back and forth? Maybe you’re used to first-class, and want to know the benefits of becoming a jet card member to experience private aviation for yourself? No matter what your reasons are, our team is available 24/7 to review your options and help you make an informed decision. While we typically focus on pay-as-you go, on-demand charter flights, we understand the needs of every client may be different, and we’re happy to discuss all of the benefits and limitations that come with fractional ownership and jet card memberships so you can make the best choice for you, your family or your business. Our team is here to help during difficult times when you or a loved one is suffering through health problems. If you are in need of a Medical Charter Flight or an Air Ambulance in Puerto Rico, we can arrange the proper aircraft and the appropriate medical crew for your flight. Some individuals and patients have medical conditions that require an Air Ambulance with medical staff on-board, while others may need a private aircraft if commercial travel is not an option, or an inconvenience. If you have any additional questions or need to book a Non-Emergency Medical Charter Flight or a Medical Air Ambulance, don’t hestitate to pick up the phone and give us a call – we understand how sensitive and stressful these situations can be, and that’s why we are available 24 hours a day, 7 days a week for you and your family. Puerto Rico is a popular destination for private aviation in the Caribbean, and discounted empty leg charter flights become available as transient jets drop off passengers and return to/from Puerto Rico. There are many private jets, turbo-props and helicopters located in Puerto Rico and nearby areas of the Caribbean, giving you a wide variety of aircraft to choose from. Ask one of our brokers about potential empty-leg options for upcoming private flights. Puerto Rico is a popular destination for private charter flights to luxurious Caribbean getaways, honeymoons and other events. Our Puerto Rico air charter company has worked directly with several high-profile clients and executive flight departments to book flights for our clients not just to/from San Juan, but anywhere around the world. If you’re a personal assistant or work for a flight department and you need to arrange a private flight to San Juan for your client, let our team be your personal assistant in private aviation. We understand that this business is about forming a relationship, and not just the dollars and cents. 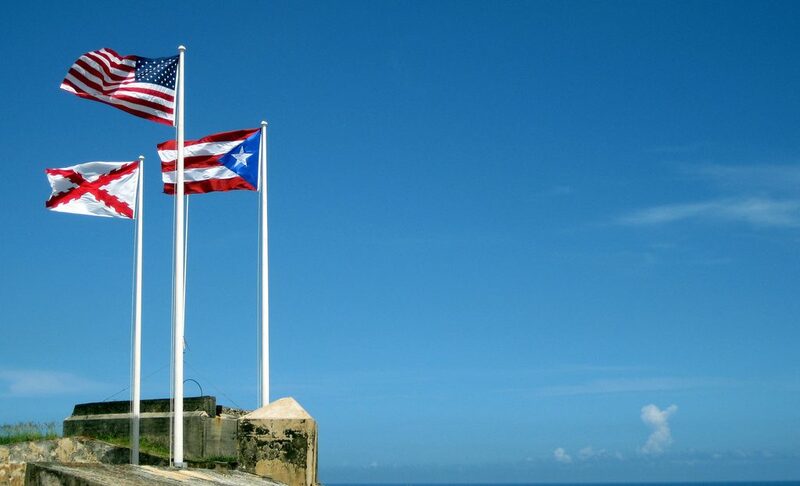 Our Puerto Rico Jet Charter company is here to answer any aviation questions you may have to provide a transparent, one-on-one consultative experience when arranging charter fights to Puerto Rico. Learn more about all of the private aviation services available, and contact us via phone or e-mail if you have any aviation related questions. Our team is available by phone/e-mail 24 hours a day, and our services extend to any destination around the world!